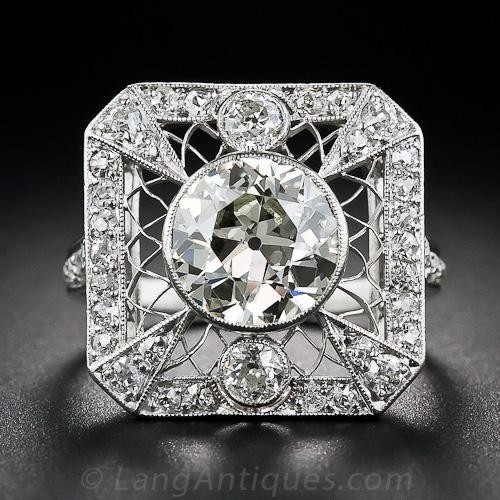 Do the filigree swirls of the Edwardian Era turn your head, or are you drawn to the geometric designs of the Art Deco? 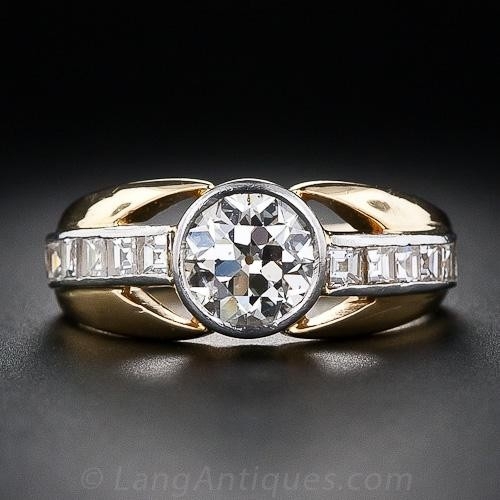 Pining for a romantic Victorian cluster, a lavish Mid-Century set…or just not sure where to start? 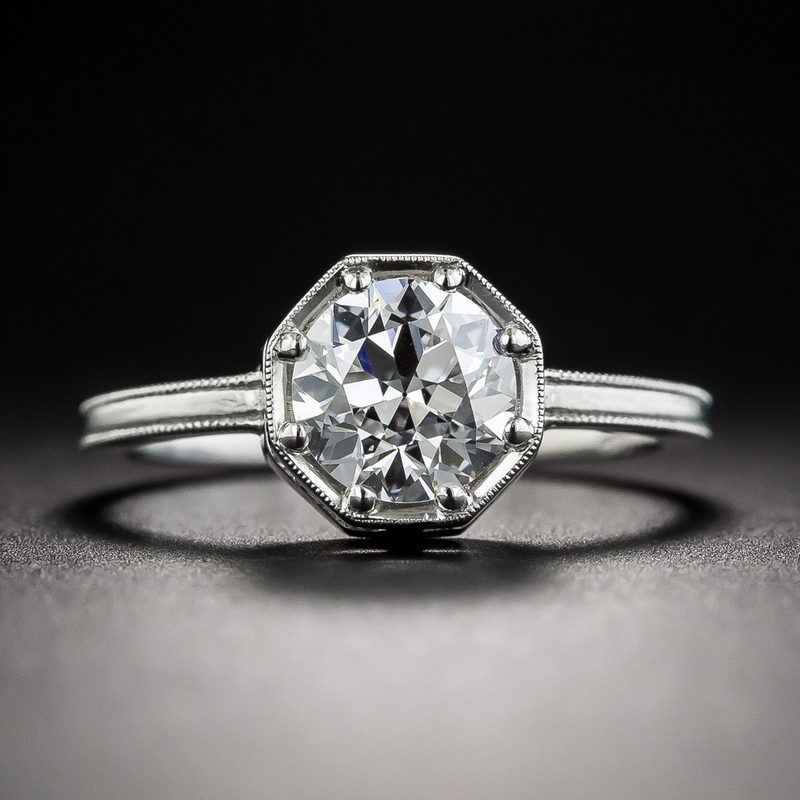 We’re here to help you find your perfect engagement ring style. 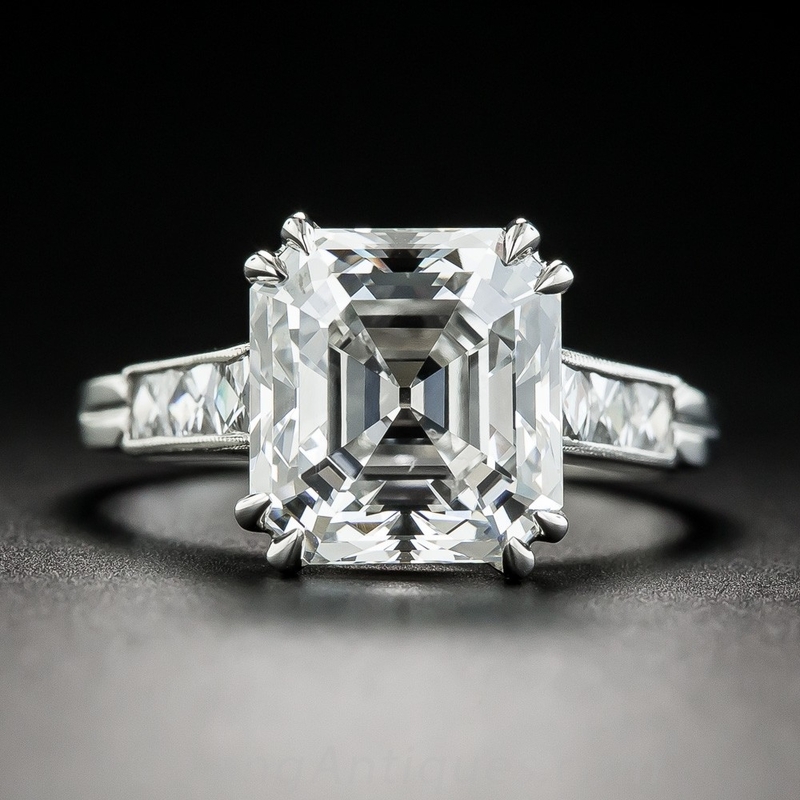 Try our jewelry style quiz here! 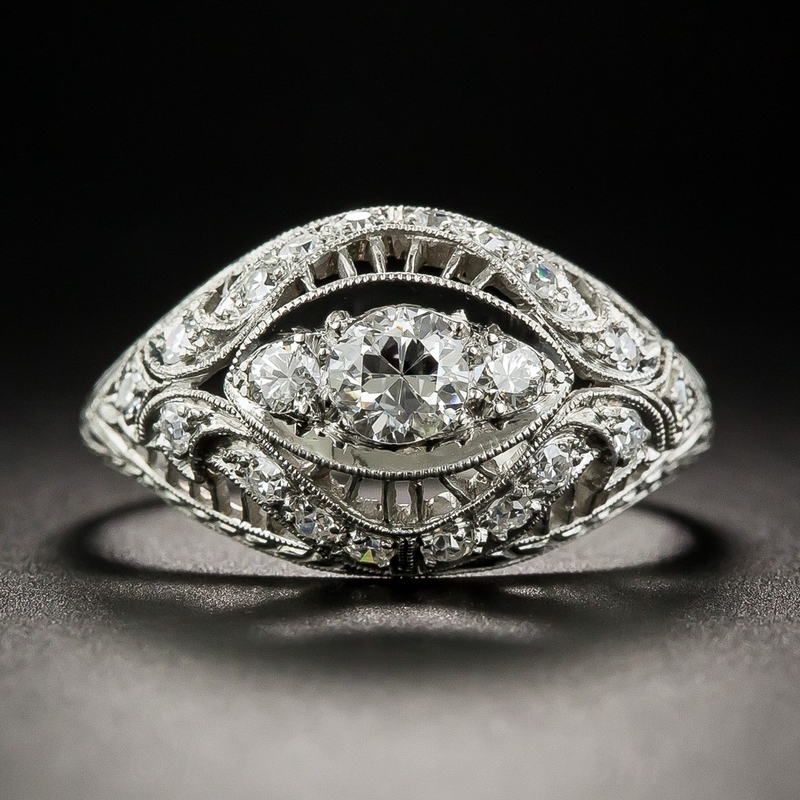 If you’re having a hard time choosing one particular design motif, you’re in good company—the Victorians liked their jewelry as eclectic as it gets, and engagement rings were no exception. Everything from fanciful flora to twining serpents was fair. Diamond solitaires of graceful antique cuts sit in rich, sunny yellow gold settings, or gather together in lines of three or five stones. 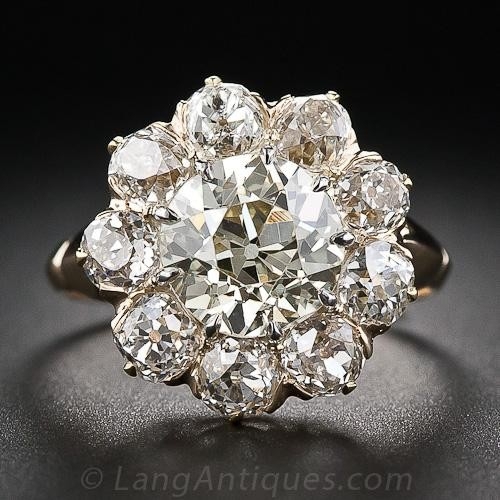 And the cluster ring, resembling a blooming diamond or gemstone flower, is the ultimate Victorian stunner. 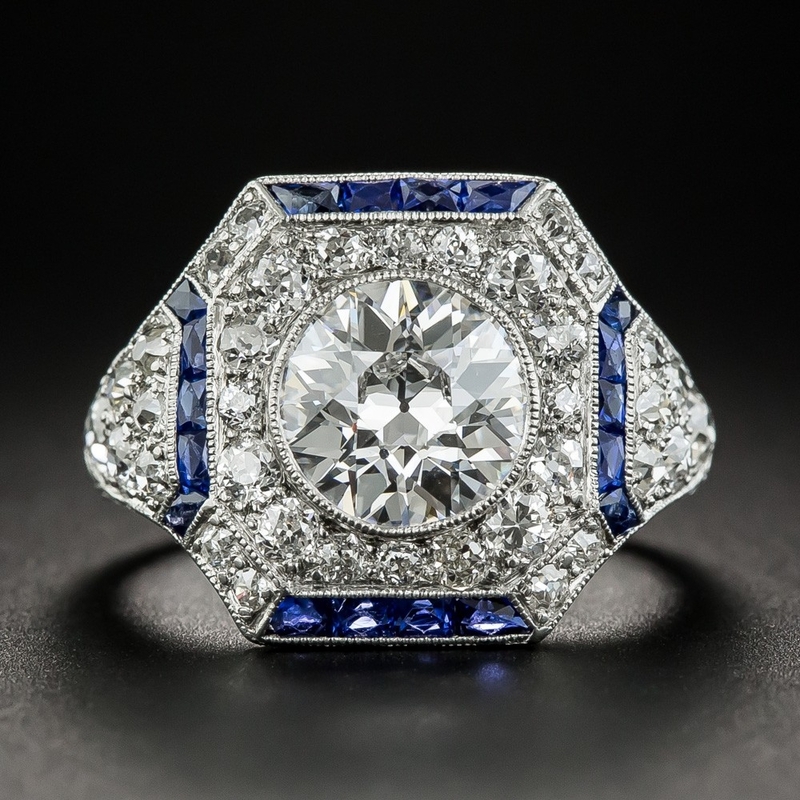 Diamonds were not yet the standard for engagement, so all kinds of stones appear in these rings; we recommend sapphires or rubies as the most practical alternatives for daily wear. 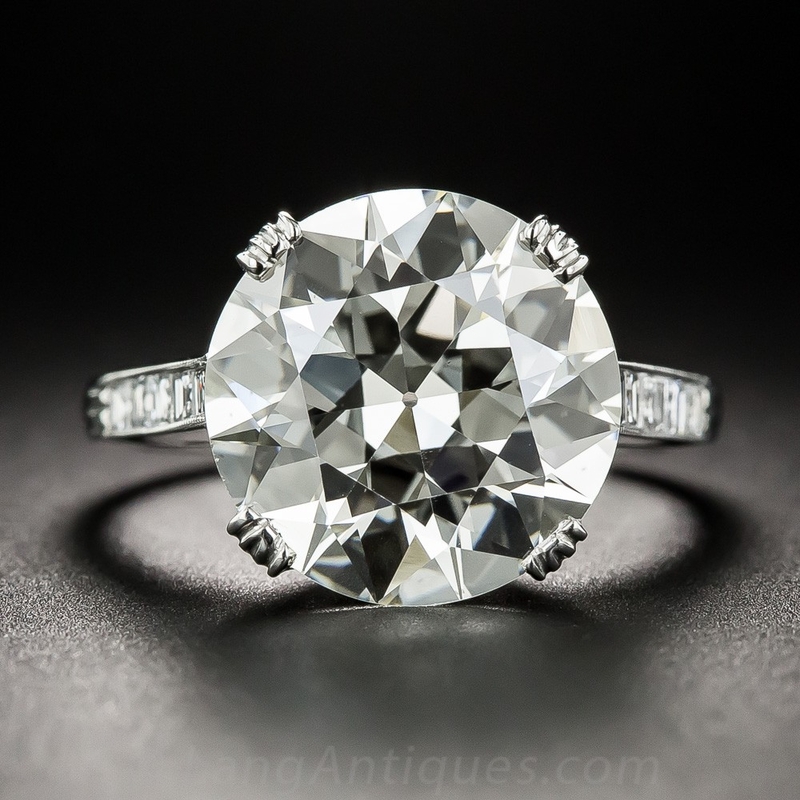 Browse our current collection of Victorian engagement rings. Gazing into a lacy web of detailed filigree? 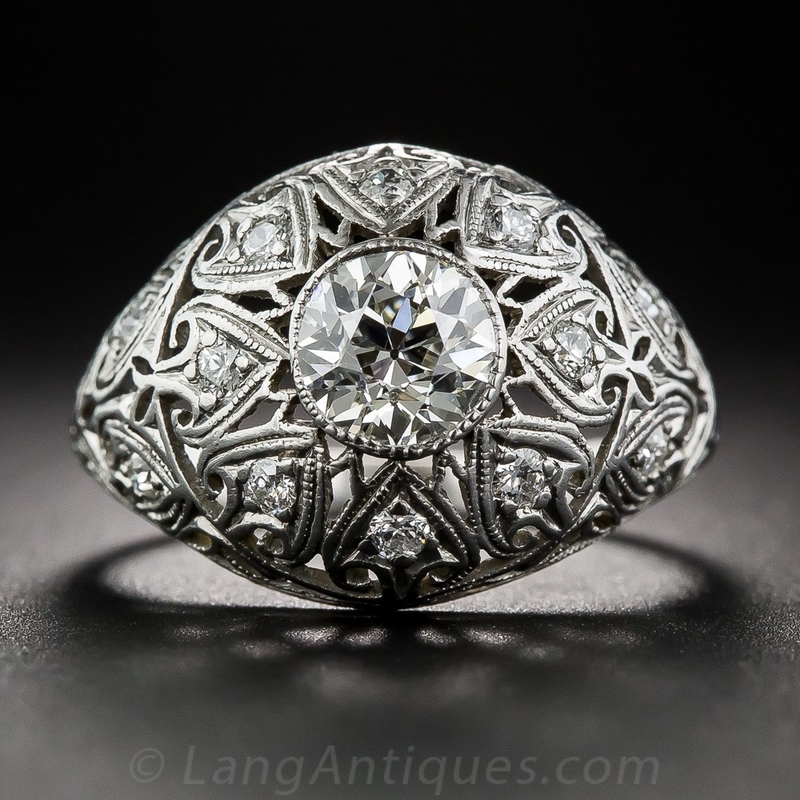 Chances are, you’re looking at an Edwardian engagement ring. These lovely, feminine settings feature intricately pierced and millegrained mountings, often dotted with diamonds. Though they appear light and airy, with alluringly curved lines and openwork, durable platinum keeps them very wearable. 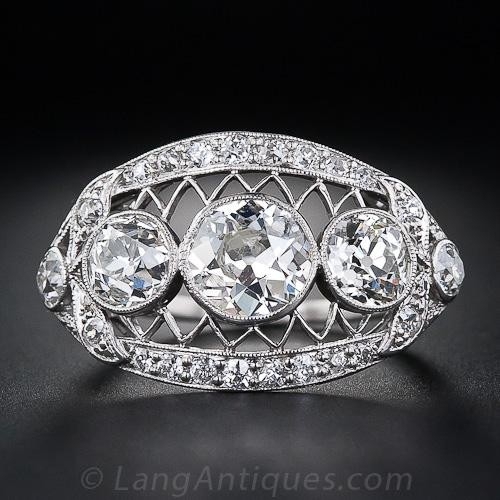 The sweetness of their designs is balanced out by their strong, often wide profile on the finger and their liberal use of bright white diamonds. If your vibe is equal parts pretty and powerful, this may be the era for you. 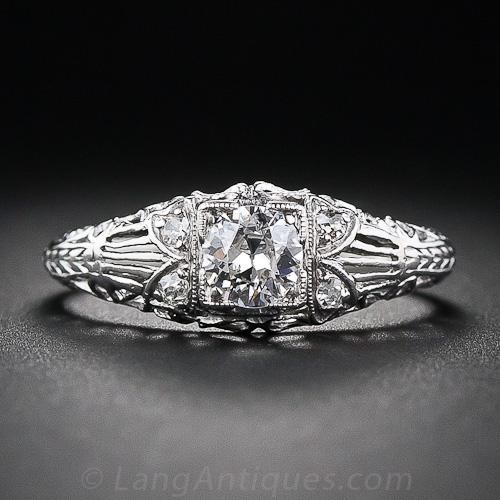 Browse our current collection of Edwardian engagement rings. 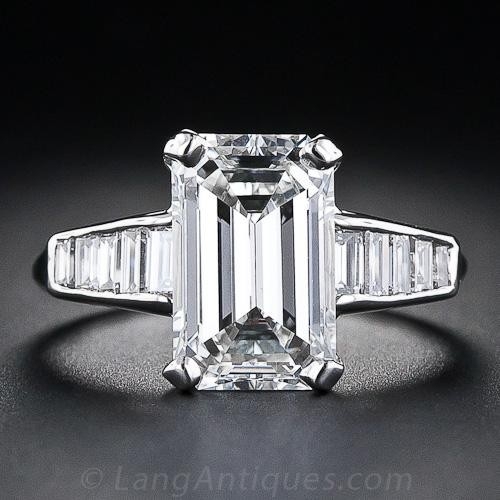 They didn’t call it the Jazz Age for nothing—these sleek and chic engagement rings follow their own fascinating rhythm. 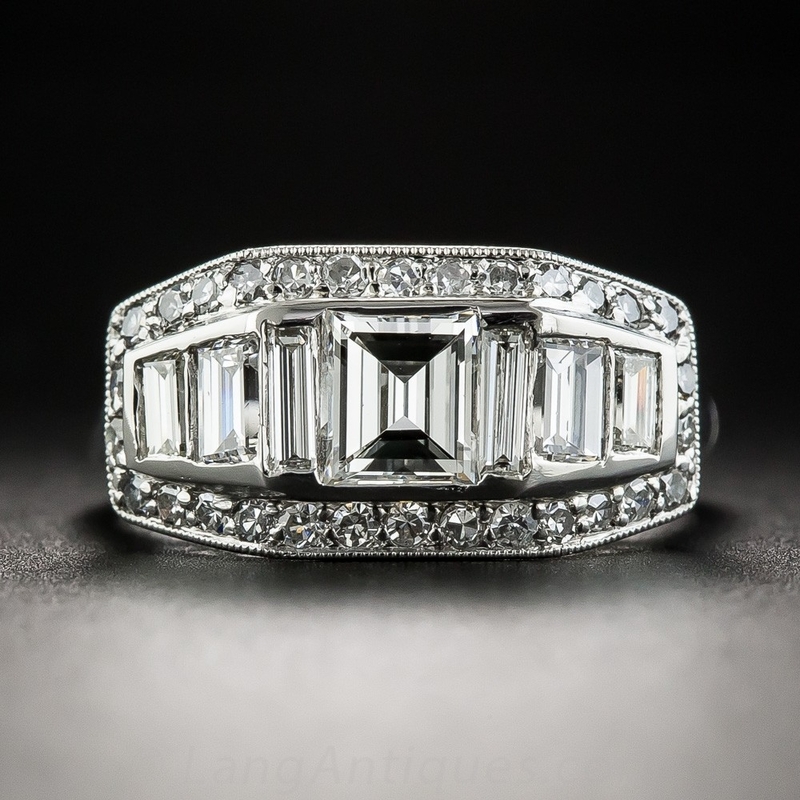 Geometric lines and streamlined designs give the Art Deco its signature bold appeal. Architectural styles emulate city skylines as jewelers finally embraced a high-tech aesthetic. Though the Art Deco is certainly more leather than lace, its timeless sophistication make it a great fit for a wide range of tastes. 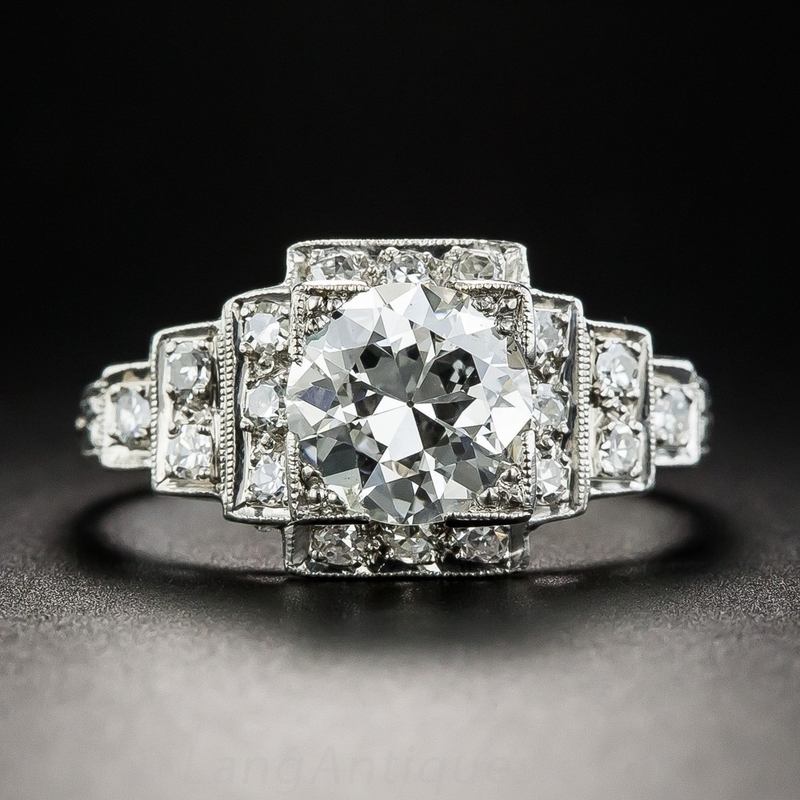 We don’t even try to hide the fact that we love this style, and Art Deco engagement rings always feature prominently in our collection. 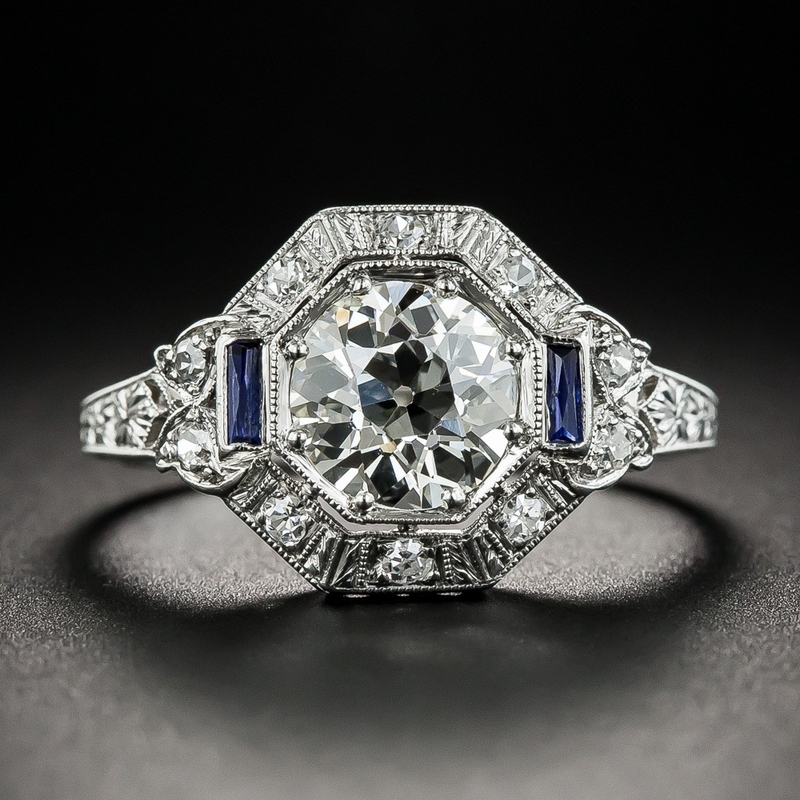 Browse our current collection of Art Deco engagement rings. All the glamour of Hollywood’s Golden Age shines from these dramatic beauties. 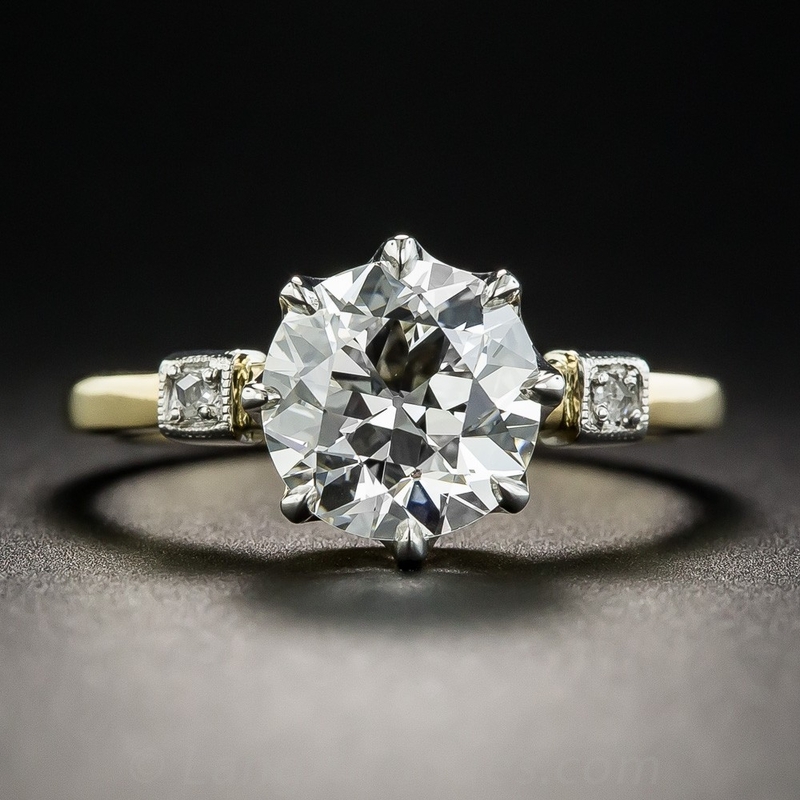 Though we see fewer engagement rings from the relatively brief Retro era, their distinctive lines and asymmetry leave a strong impression. During the Second World War, platinum was reserved for strategic purposes, and the look-alike precious metal palladium took its place. 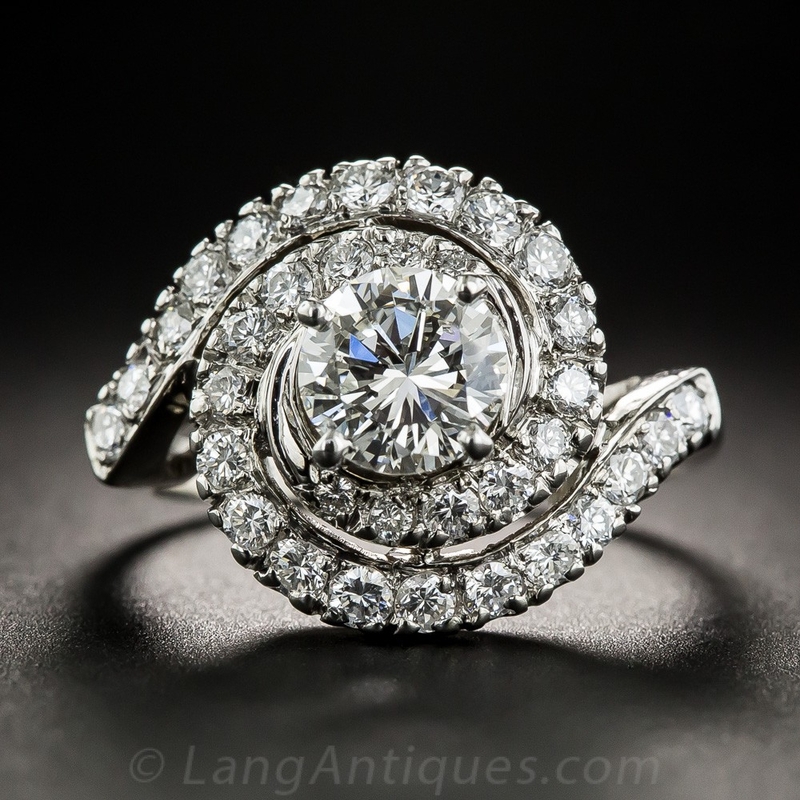 An engagement ring in this special material is a piece of wearable history, with a significance known only to its lucky new owner. Sweet and inventive Retro wedding sets evoke a return to home and family, and new lives begun together going into the second half of the twentieth century. Combine high glam with a love of history, and you’ll find yourself falling for this short-lived but very stylish era. 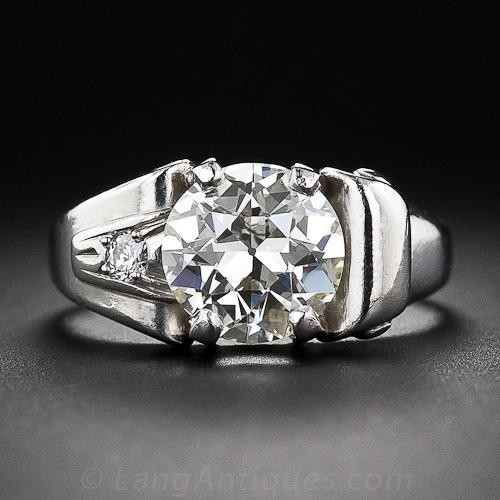 Browse our current collection of Retro engagement rings. Go big or go home! 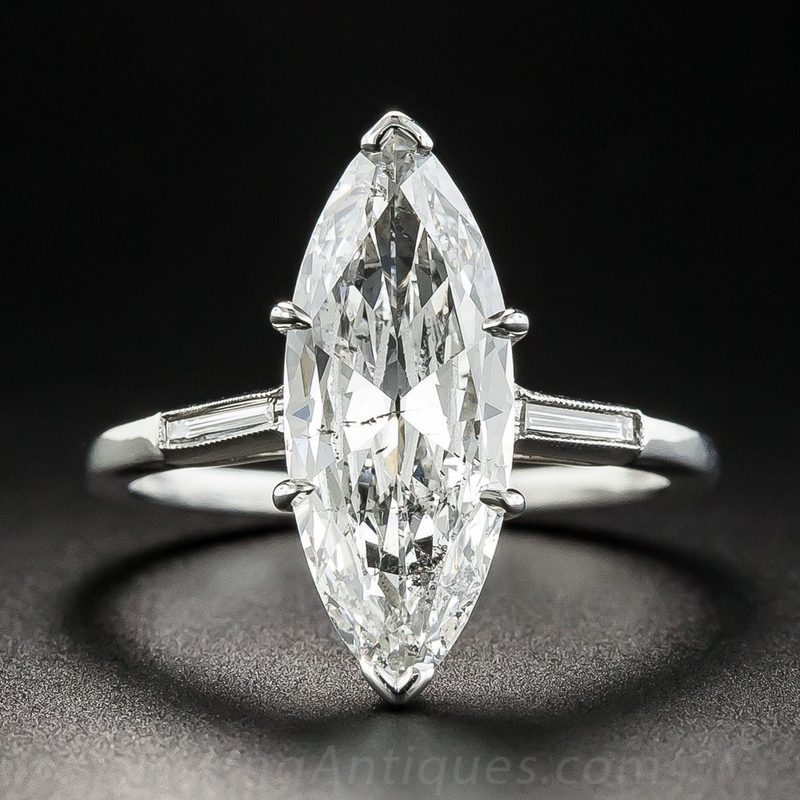 Whether it’s the actual size of the diamond (which it quite often was), or the free-form swirl of the ring’s design, the fabulous fifties had no qualms about embracing opulence. The optimism of the post-war era shines irresistibly from these brilliant showstoppers. 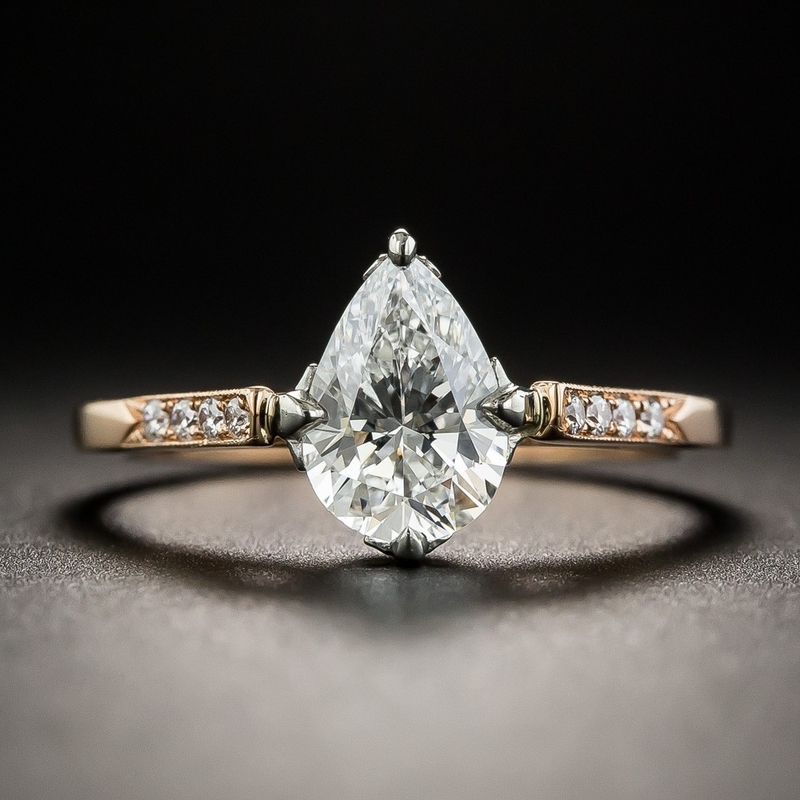 If “more is more” sounds like your jewelry philosophy, you may want to research—on the finger, of course—some Mid-Century engagement rings. We guarantee it won’t feel like homework! 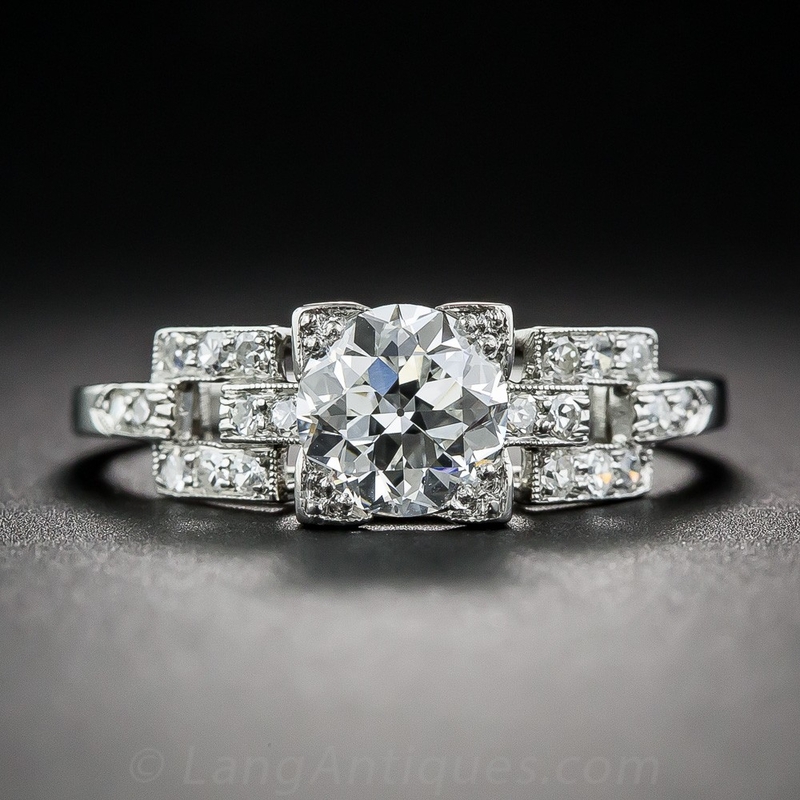 Browse our current collection of Mid-Century engagement rings. 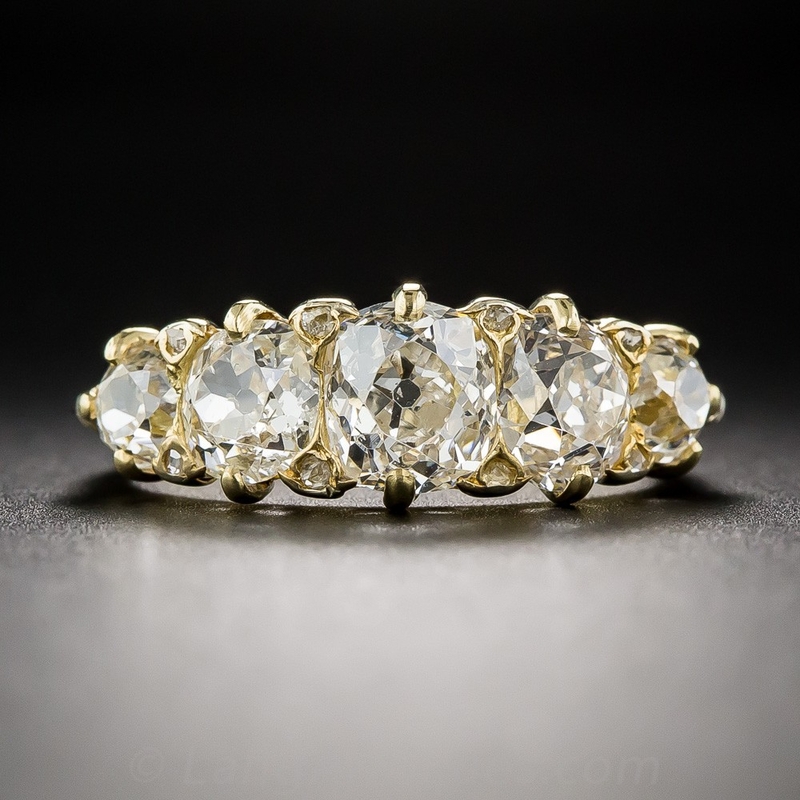 If you’re into the ethics and eco-friendliness of vintage and antique diamonds but drawn to the clean and simple lines that can sometimes be hard to find in original vintage rings, we’ve created the perfect marriage of old and new. 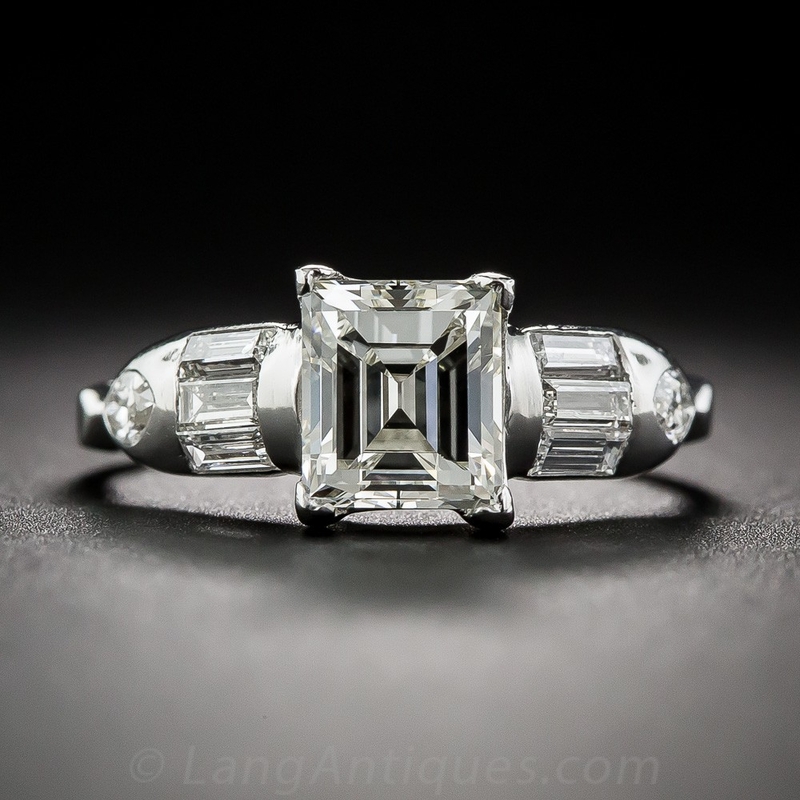 The Lang Vintage-Inspired Engagement Collection distills the beauty and elegance of antique designs, using original center stones set as solitaires or with ethically-sourced side stones in sleek, highly wearable settings. 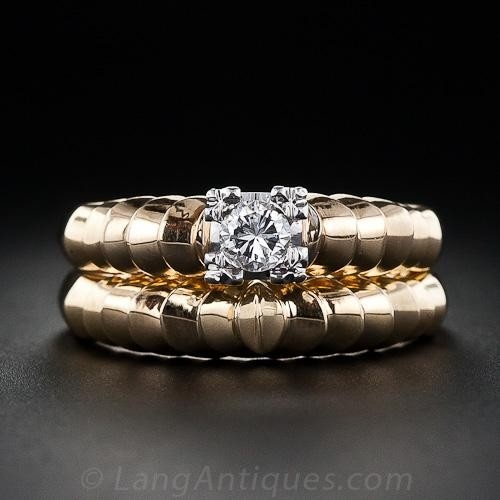 The Lang Collection also happens to pair seamlessly with our line of vintage-inspired wedding bands. 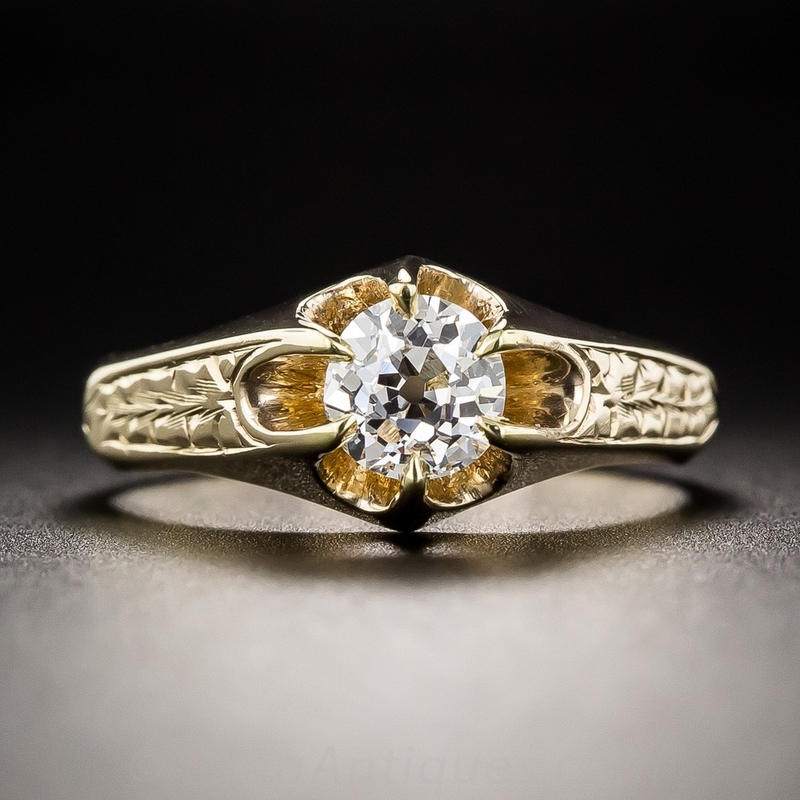 In addition to our own designs, our wider collection of engagement rings usually includes other vintage-style and estate examples that catch our eye. 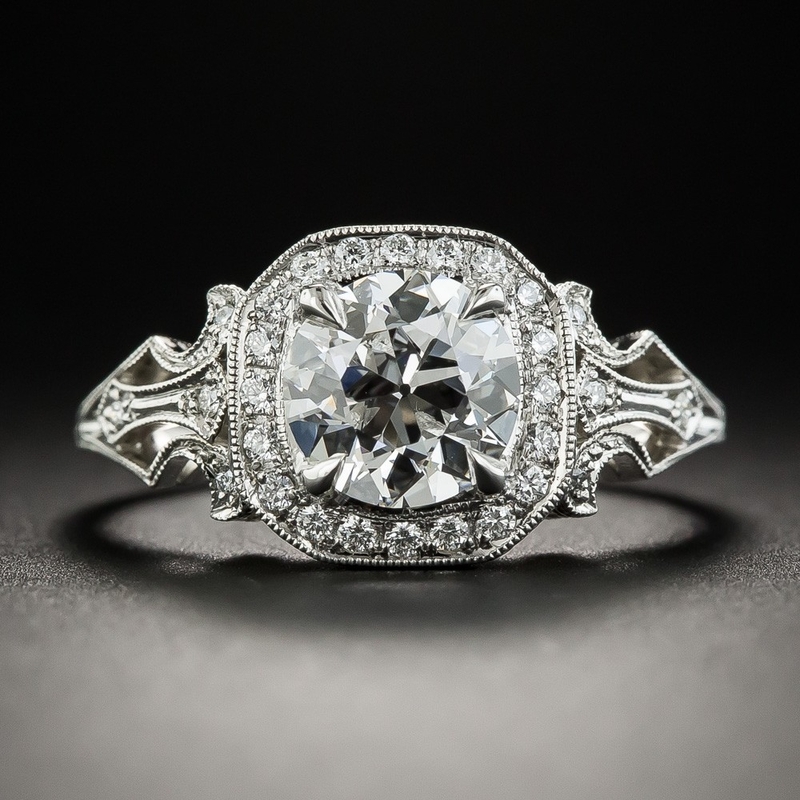 These pieces prove again and again that true beauty is timeless! 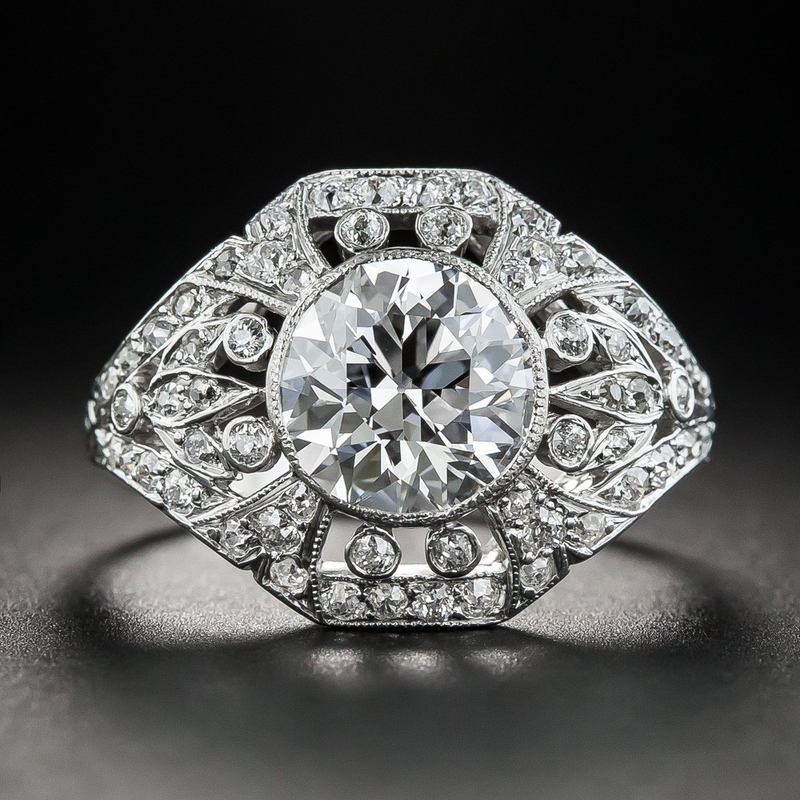 Browse the current Lang Vintage-Inspired Engagement Collection.